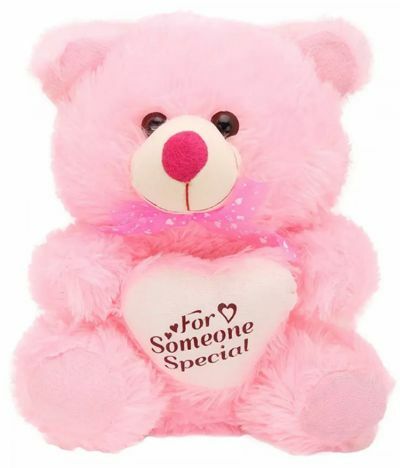 Send this white and soft teddy bear to your loved ones in india.Height 13". Send this Cute White Teddy Bear attracts anyone towards it and red color ribbon tied round the neck looks gorgeous.It is so soft to touch and play. Note : The Color May vary Subjected to availability.